The port of Rafina is the main gateway from Athens to the islands of Mykonos, Tinos and Andros. Rafina is located 30km away from Athens city centre, along the north-eastern side of Attica. Rafina is the second largest passenger port of Athens, serving millions of tourists that visit the Greek Islands. 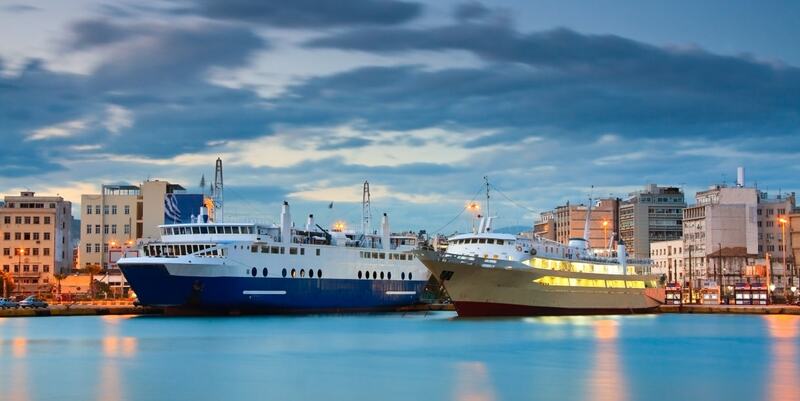 As mentioned before, Rafina is the second busiest passenger port of Athens. It is connecting Athens to the islands of Mykonos, Tinos, and Andros with several daily ferries. In summer, there are also itineraries that connect Rafina to Paros, Naxos, Santorini, and Heraklion (Crete). This ferry route from Rafina to Andros, Tinos, and Mykonos, is operated on a daily basis during the whole year. The high-speed ferry needs only 2:30 hours to reach Mykonos from Rafina, while the conventional ferries need ~4:30 hours. The ferry schedules are pretty frequent and the tickets are usually quite affordable. During summer the route is served with ~9-10 ferries per day. During the low season, the ferries serving this route are reduced, but there is at least one or two conventional ferry per day that serves the route from Rafina to Mykonos. This is a seasonal ferry connection that operates during the summer period. From spring (April or May) to October, Rafina is connected with Santorini, Paros, and Naxos. The route is served by one or two ferries per day and usually connects Rafina to Mykonos, Paros, Naxos, and Santorini. In some itineraries, the ferry continues to Heraklion, Crete. Rafina is connected to Crete with a daily conventional ferry that runs only during high-season. The ferry connects Rafina to Heraklion, calling also on ther Cycladic islands as Mykonos, Santorini etc. Bus: The Athens center is connected to Rafina by regular coaches that leave from Pedion Areos, in Athens centre. Buses usually leave every hour and the ride takes about 70 mins. Depending on the traffic, this duration can go up to 2h. Thus we would suggest that if you are on a tight schedule, you may have to look at alternative ways to reach Rafina. The ticket price of the bus should be between 2-3€. Taxi: A taxi will normally take about 1 hour and 15 minutes to go from Omonoia/ Syntagma to Rafina. The typical taxi fare from Athens city centre to the port of Rafina is 50€ during the day and 65€ during the night (00:00-05:00). Bus: There is a coach that connects Athens International Airport to Rafina port. The ticket price is 3-4€ and the trip duration is around 30 mins. The port of Rafina is really crowded during weekends and summer. If you go by car, you are advised to take into account the traffic jam that you may face.